Winfield Racing School built up its notoriety on highly effective driving courses which have been rewarded by an impressive record in drivers’ training. Nowadays, in addition to its on-track driving programmes and due to a large professional network, Winfield proposes to share its passion of Motorsport by providing related services including personal coaching, racing simulator, corporate events and incentive, races hospitalities, event showcars and running cars, marketing services and outstanding facilities at Paul Ricard Circuit for high level events. 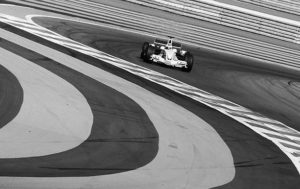 With more than 20 years of experience in the sport marketing business including Formula One and World Endurance championship, the Winfield team has the know how to set up special events to insure a very high level of guests’ satisfaction. 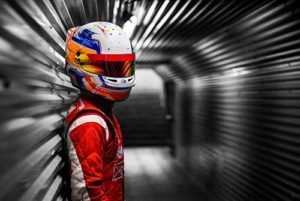 To have Winfield involved in your Motorsport strategy and events is a guarantee of working with a company with the best expertise to guide you to leverage your actions within the sport. At Winfield, we encourage projects in Motorsport so feel free to share yours with us, everything is possible. Mark Twain said “they did not know it was impossible, so they did it”. Benefit from Winfield’s know-how and experience to improve your driving style and performance on track. You are a young karting driver wishing to prepare your single-seater season, a gentleman or experienced driver wishing to learn how to be faster on track, or a sport car owner wishing to enjoy the performance of your personal car… Winfield’s driving instructor will set with you the targets to reach your potential and enhance your driving’s overall performance. Winfield proposes international driving instructors covering most of the world’s languages. 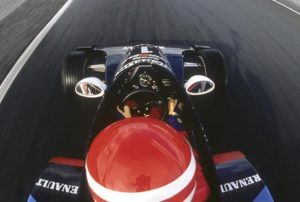 Thanks to a racing simulator in its facilities, Winfield proposes the ideal tool for practicing the driving techniques such as the use of manual H gearbox or the practice of the Heel Toe downshift. To manage the right speed before the corners, the gear shifting is a process that drivers have to handle in order to avoid engine and gearbox damages. To acquire this technique, the only way is to practice again and again on a simulator. The racing simulator is also the perfect tool to learn a new racetrack and to do the technical set-up of a racing car before a competition. A large panel of racing cars and national or international racetracks are available on the machine. Based on a great experience in Motorsport, Winfield proposes dynamic activities for your business and in-house events. Pit stop or Batak Pro challenges are innovative activities to immerse the attendees in the world of competition, where seconds and quick decisions are fundamentals. Winfield could display its incentive tools and concepts on the location of your choice or in our outstanding facilities at Circuit Paul Ricard, where you will find meeting rooms and hospitality to welcome your guests with premium standards. Turnkey programmes including hotels, catering and airport transfers are available upon request. If you need a racing car for an exhibition, a corporate event, a video clip, an advertising, a demo run or any crazy idea, Winfield can source any racing car for your project. Thanks to its large network, Winfield can also provide drivers, technical staff, professional material, decoration… as well as organise the transportation all around the world. Winfield loves doing crazy things with cars so feel free to share with us your project. Motorsport marketing is one of Winfield fields of expertise. From a consulting perspective to a whole marketing department structuring, Winfield will help you to define the best sponsorship strategy within the Motorsport industry and the most accurate activations plan to leverage your company involvement in the series. The services cover advertising and promotional campaigns, communication tools, website and social medias development, brand guide creation, hospitality management on tests and races, VIP packages and public events organisation… everything which can be appropriate to increase the ROI of such a partnership. In the heart of Circuit Paul Ricard in South of France, Winfield offers outstanding facilities. The building is amongst the best and premium location to welcome a VIP group from 10 people, up to 100 guests during a race weekend or for a corporate and private event. The high class hospitality and reception, the terrace with track view, the professional kitchen including VIP catering services and private parking offer an exceptional surrounding for events. While the private pit lane with a direct access on the track and the workshops of 175m2 will be appreciated by racing teams for testing, confidential running days or to set a winter base.